Located 5 miles east on Hiway 20, north on Hiway 183 about 10 miles and 1/2 miles south west, located on private property. This cemetery was designated a Pioneer cemetery on March 16, 1999. The cemetery is located in a pasture with a lone cedar tree beside the fenced area. This property was set aside as a cemetery by Mrs.Ruth Mills with burial of her sons, beginning in 1883. At one time the burial sites of the Mills brothers were marked with large river boulders. The family of the Fitch's installed a garden type fence around the plots of Thomas and Clarinda, to protect them from the cattle. 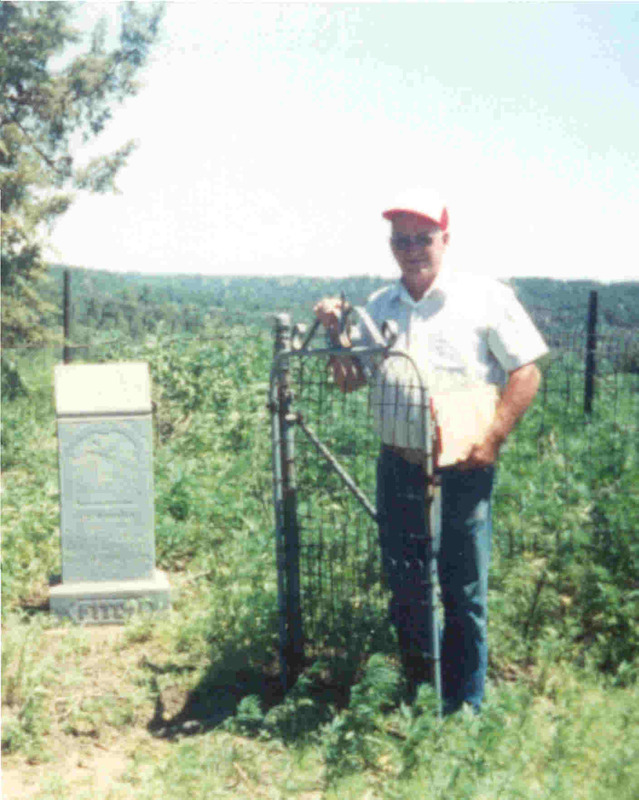 In 1999 the stone of Thomas N. Fitch and Clarinda Fitch was moved to the Ainsworth Cemetery and placed along side Clarinda's daughter, Mercy Jane Taylor Jones and son in law, Rufus S. Jones. The remains were left undisturbed at the burial location at Pine Glen Pioneer Cemetery. Over the years it was said that about 20 people were buried there. As time went by most of the remains were transferred to other locations except for those listed who remain. Kenaston, Caroline Elizabeth Scanland(dau of James & Mary Yeager Scanland)(wife of James Augustus Kenaston m.05-31-1849)(body was later reinterred at Weeping Water, NE.) 09-12-1829 08-07-1888 Wardensville, West Virg. The information for the cemetery was furnished by the Jones Family Assoc. and Mr. Cecil McCullough. Cecil is a nephew of Mrs. Mills. June 27,2004 the cemetery was witched(dowsed) by Michael A. & Lesa F. Rudnick and Russell Graesser. There were 100 + unmarked burial sites.